The goal of expedition 360 is to drill hole U1473 as deep as we possibly can in the two months we have onboard the JOIDES Resolution. Our target is 1300 meters, this would be the third deepest hole ever drilled into oceanic crust (ie. hard igneous and metamorphic rocks, we’re not counting the sediments that sit on top). Note that hole 735B in Atlantis Bank isn’t the hole we’re drilling this time, to hear the story of this previous attempt, take a listen to the prologue of our weekly podcast, A Hole in the Bottom of the Sea. 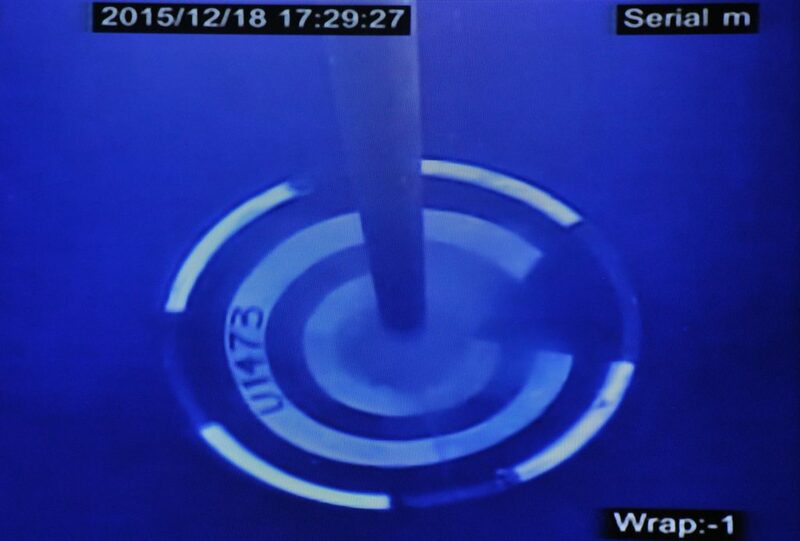 At the time of this post (2300 GMT, 15/12/27), the hole is 313.3 meters deep, making it the 11th deepest hole ever drilled into hard oceanic crust (but we should crack the top 10 in a few hours). Will we make it to third? Stay tuned but we sure hope so! In fact the plan is to return to this hole again in the future and continue it to make it the deepest hole ever drilled into the ocean crust. The deepest hole in the world? The Kola Superdeep Borehole on the Kola Peninsula in Northwest Russia reaching 12.26 km below the surface in continental crust. Longest hole in the world? Not all holes are purely vertical, the longest hole in the world is an oil and gas well, Z-44 drilled by Exxon Neftegas in eastern Russia. It’s 12.38 km from beginning to end! The deepest hole in the ocean? If we include sedimentary rocks, the deepest hole is in the Tiber Oil Field in the Gulf of Mexico, reaching a depth of 10.67 km. It was drilled by the ill-fated Deepwater Horizon rig. The deepest scientific hole in ocean? 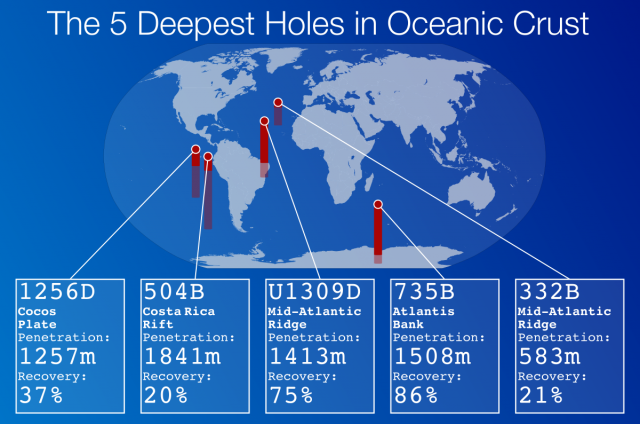 If we don’t count oil and gas wells, but we do include ocean sediments, the deepest scientific hole is 3.06 km. This was drilled by another International Ocean Discovery Program ship, the Chikyū off the coast of Japan. The deepest hole ever dug by hand? Okay, we’re getting pretty specific now, it’s Woodingdean Well near Brighton, UK. It’s 390 m deep and excavated completely by hand (with shovels to be specific).